I do love a good bundt cake. I feel like they’re somehow less fussy and formal than layer cake, but still, you know… Cake. That’s why I zeroed right in on this recipe for Vanilla and Chocolate Marbled Bundt Cake in my friend Irvin Lin’s new cookbook, Marbled, Swirled, and Layered. He makes it with a chocolate-coffee syrup swirled into the batter. Plus chocolate chips. Plus a thick vanilla glaze over top. Game, set, match. If you’ve been reading Simply Recipes for the past few months, you have no doubt noticed some of the recipes Irvin Lin has shared here, like his Easy Peanut Butter Fudge and these very-tempting Chocolate Gingerbread Cookies. He does good things with butter and sugar. In Marbled, Swirled, and Layered, he takes desserts up a notch or three. Not only are all the recipes visually stunning – as you no doubt guessed, they all incorporate some element of being beautifully marbled, swirled, or layered – but also, the flavor combinations are just out of this world. Allow me to run through a few of the recipes that caught my eye as I paged through the book: Roasted White Chocolate Brownies with Strawberry-Balsamic Swirl, Apple Roses and Spiced Brown Butter Tart, Malted Milk Chocolate Cake with Salted Caramel Frosting, 8-Layer Orange-Scented Smith Island Cake, and Hazelnut-Cocoa Linzer Cookies with Blackberry-Mint Jam. No, Irvin is not one to shy away from flavor. With every recipe, I feel like I learn something new about the way seemingly very different ingredients can actually come together in interesting and unexpected ways. I especially love the way Irvin brings savory flavors into play, like that balsamic swirl in the brownies. It’s never so much savory that the recipe becomes savory, but just enough to make you perk up and pay attention. If you are the kind of baker who loves to mix-and-match and have a little fun in the kitchen, then I advise you to pick up a copy of this book immediately. You might be concerned that this is a book for serious bakers only, and yes, most of the recipes require a bit of focus as you’re making them so you don’t accidentally swirl when you should have layered. But I think that Irvin has include a nice mix of “dedication levels” in this collection. There are some recipes that require very little planning or baking know-how (particularly in the cookie chapter and breakfast goods chapter), a good majority that ask you to set aside an hour or two for some baking fun-times (like today’s bundt cake), and then a few that ask you to clear your schedule and pull all your baking pans out of the cupboard. Now, let’s talk about this bundt cake. I confess that I like to eat cake more than I like to bake it, and this recipe was just my speed. Low effort, high reward. You only need to make one batter (I’ve seen other recipes that have you make two, one chocolate and one vanilla), and then you scoop about a third of it into a separate bowl to mix with the chocolate syrup. This chocolate batter gets sandwiched between two layers of vanilla, which then get swirled together just before going in the oven. The cake itself was also incredibly moist and tender, which has me thinking that this might just become my new go-to cake for all future cake-worthy events, forever and always. To sum up, I’m a big fan of both Irvin and his new book. I highly recommend putting this one on your wish list this year. 1 Grease the pan: Preheat the oven to 350°F. Place the butter in a 12-cup Bundt pan and grease the pan with your fingers, making sure to grease all the nooks and crannies. Sprinkle the flour all over the pan and knock out the excess. 2 Make the chocolate syrup: Combine the sugar, cocoa powder, coffee, and honey and in a small saucepan and cook over medium heat until the sugar has dissolved and the syrup starts to boil. Bring to a simmer, whisking to make sure there are no lumps. Remove from the heat and stir in the vanilla. 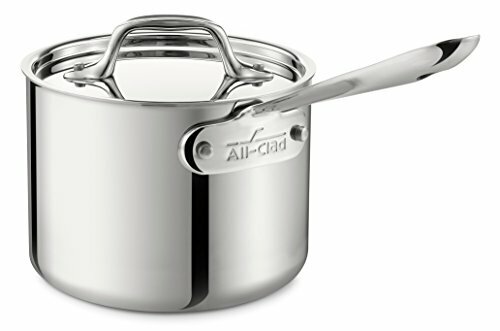 3 Make the cake batter: Place the sugar and butter in the bowl of a stand mixer fitted with the paddle attachment. Beat on medium speed until the butter looks light in color and fluffy, about 2 minutes. Add the vanilla and mix until incorporated. Add the eggs one at a time, beating until completely incorporated and scraping down the sides and bottom of the bowl between each addition. Add the baking powder, baking soda, and salt and beat until the dry ingredients are absorbed. 4 Spoon one-third of the batter into a medium bowl and add the chocolate syrup. Stir to incorporate completely and set aside. 5 Layer the batter in the bundt: Spoon half of the remaining vanilla batter into the prepared Bundt pan. Scrape the chocolate batter on top. Spread the remaining vanilla batter on top of the chocolate batter. 6 Swirl the vanilla and chocolate layers: Insert a butter knife or chopstick into the batter and make “figure eight” motions throughout the entire cake to marble the batter. You may want to sometimes dig deep to the bottom and sometimes lift up to make sure the batter really moves around. Just don’t overmix the batters, or else they will blend together instead of marbling. 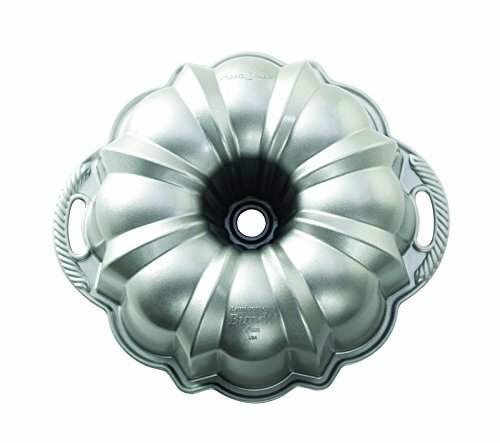 7 Bake the bundt cake: Place the pan on a rimmed baking sheet. Bake until a toothpick or skewer inserted in the center comes out clean and the cake springs back when pressed down lightly, 50 to 60 minutes. 8 Let cool in the pan on a wire rack for 20 to 30 minutes and then invert onto a serving plate while still warm. If the cake doesn’t unmold, gently slip a very thin knife between the cake and the pan all the way around to loosen it and then try again. 9 Make the vanilla bean glaze: Slice the vanilla bean lengthwise, if using, and scrape the seeds into the milk in a large bowl. Chop the bean in half and toss the pod in with the milk as well. Let steep in the refrigerator as the cake cools. Once the cake has cooled completely (after about 2 hours), remove the vanilla bean from the milk and sift 2 cups powdered sugar into the milk. (If using the vanilla extract, add it to the milk right before sifting the powdered sugar; no need to steep it.) The glaze should be thin enough to pour, but thick enough to hold its shape on the cake, similar to honey in consistency. If the glaze is too thin, add more powdered sugar, 1 tablespoon at a time, until it reaches the desired thickness. 10 Drizzle the glaze on top of the cake, making sure the glaze drips down the sides of the cake. [Emma's Tip: Tuck parchment paper under the cake while you drizzle to catch the drips, then remove once the icing is set.] If decorating with chocolate pearls, shavings, or sprinkles, sprinkle them randomly on the cake before the glaze dries. Hello! All photos and content are copyright protected. Please do not use our photos without prior written permission. If you wish to republish this recipe, please rewrite the recipe in your own unique words and link back to Classic Vanilla and Chocolate Marbled Bundt Cake on Simply Recipes. Thank you! I followed the recipe closely. All the weights were identical, minor deviations were mini chips not regular sized, vanilla extract and heavy cream for the glaze, not vanilla bean and whole mild. The cocoa was Hersheys special dark. The results were quite nice, batter came together nicely, baking time was accurate, flavor was good. This is a substantial cake, richer and heavier than, say, the chocolate zucchini cake that is a favorite of mine on this site. We had thin slices to celebrate a birthday and I froze the rest in sections. Thank you, Elise and Emma. Hi! So I’ve not tried it as a regular layer cake but theoretically you should be able to! You’ll want to reduce the bake time with a layer cake though. So try somewhere between 25 to 35 minutes, checking with a toothpick until the cakes are done. To make in a layer pan, I’d spoon the different batters into the cake pans, alternating the cake batters next to each other and then try swirl them around a bit with a chopstick or butter knife. You might not get the pretty swirls that you would in a bundt cake because the layers are thinner and hard to swirl together. The nice thing about a bundt pan is that it’s tall, so you have more chance for the batters move up and down. But you’ll get a really interesting patchy cake slice which is beautiful in a different way! I actually have a layer cake like that in my cookbook which this recipe is taken from. I have made this about 5 times, and it is delicious and moist! I haven’t had problems with it being too runny; the chocolate syrup is runny, and this makes the chocolate portion more liquidy than the vanilla. However. In my opinion, this makes the marbling work better and helps prevent a dry chocolate portion, which is a peril of chocolate cakes. I also like the variations in the book. I have used golden syrup in place of the honey. One last tip: you can reduce the cocoa by half if you don’t like strong chocolate. Anyway I think it is the best marble cake recipe out there. Took 60 minutes to bake and the cake was super moist and yum. The chocolate portion was a bit runny, but that didn’t seem to have any negative effect on the cake. In fact the syrup was so tasty that we licked away the left overs. Definitely a must. I tried this recipe and had a little trouble with it. The batter seemed more liquid than it should be and I considered adding a little more flour but didn’t (I live in France and I don’t mean to be the poor craftsman who blames my tools but I do find the ingredients to be just a little different sometimes, butter with different water/fat content, non-standard sized eggs as I buy them at the market, a curdled milk as a sub for buttermilk, etc. and I think that does affect my baking sometimes). The colors all mixed together instead of marbling nicely because it was more liquid than it should have been. The real dissapointment however was the flavor which was completely dominated by the taste of honey; even using expresso coffee and good cocoa didn’t cut through it at all. It’s not a flavor I would include again. Thanks anyway for all your recipes. I was nervous because I had never made a bundt but all turned out well. I used instant coffee instead but the flavor was still good. It took 65 minutes to fully cook. I was satisfied with the results and so was my hungry family. Thanks Emma! Maria — I’m so glad you liked it! We made this recipe last week for an office gathering and the results were amazing. Everybody loved it.! The coffee-chocolate mix is powerful and rich without being overpowering (in fact, even when we used a very strong brewed coffee, the coffee flavor is very subtle). Time to cook completely was 60 minutes (at 50 the chocolate batter was still runny). A note on the glaze: It is a must!. The cake is not overly sweet so the sweet glaze make a perfect complement. It may look is too much glaze. It is not. Use it all (I did not, and I regretted it). Great recipe. Easy, fast, non expensive and yummy . Thanks for sharing. I am buying the book! I made this as written, and while it took about 65 minutes to bake, the cake turned out beautifully. Super moist. Will be making this again! Love this cake but the chocolate syrup was runny and the cake took over two hours to bake. Not sure what happened. I’m a seasoned baker and thought the batters were thin. I think two eggs would have been plenty. Disappointing. Hi, Jannie! I’m so sorry this recipe didn’t work for you! The syrup itself is definitely runny, but once it gets mixed into the chocolate portion of the batter, I thought the consistency was fine. Also, do you have an oven thermometer? Two hours of cooking time makes me wonder if your oven temperature might be a little off? Well, I’m glad that you were still able to eat pieces of the cake and that they were tasty! Serving in parchment cups sounds lovely! But this still puzzles me. I’m going to check in with Irvin (the recipe author) and see if he has any thoughts.